In fact, it's pretty much a condensed version of the first season. Although there are still a ludicrous number of discrepancies and inaccuracies, it's still vaguely recognizable as an adaptation. A horrible adaptation, but an adaptation nonetheless. In a lost age the world is divided into four equal powers: Water Tribe, Earth Kingdom, Fire Nation, and Air Nomads. In each nation there's a group of gifted people known as Benders who have the ability to manipulate their native element using martial arts and elemental magic. For thousands of years the nations lived together peacefully. But then disaster struck. The young ruler of the Fire Nation, Fire Lord Sozin, began a war of world conquest. The only one who could have prevented it was the Avatar. The Avatar is the human incarnation of the Spirit of the World, he alone can master bending all four elements. But, just when he was needed most, he disappeared. Now, 100 years later, a young Waterbender named Katara and her older brother Sokka stumble upon the long lost Avatar, Aang, who was encased in an iceberg for 100 years. Now, they must help Aang master all four elements before summer when Sozin's grandson Fire Lord Ozai will use a comet to deal one last deadly strike against the other nations and claim a Fire Nation victory. But, all that is easier said than done with the Fire Lord's determined and hot-tempered son, Prince Zuko, hot on their trail. Once, the earth was ruled by the Avatars, celestial beings which has dominion over the five elements: Solid, Liquid, Gas, Plasma and Soul. A thousand years ago, an Avatar/Human hybrid race with control over each of those elements usurped the rule of the Avatars, and put their leader in an eternal prison somewhere in the wilderness. These beings - the Benders - forged four empires over the spheres of the earth, reigning as gods over the oppressed masses. The Air Benders ruled the skies from airships, planes and floating fortresses; the Rock Benders were masters of the land on mechanical walking cities; the Sea Benders commanded the seas in their submarines and ships, and the Flame Benders reigned over the magma of the underworld. However, the empires started to fight among themselves, and the Air Benders were wiped out in a great civil war, believed extinct. 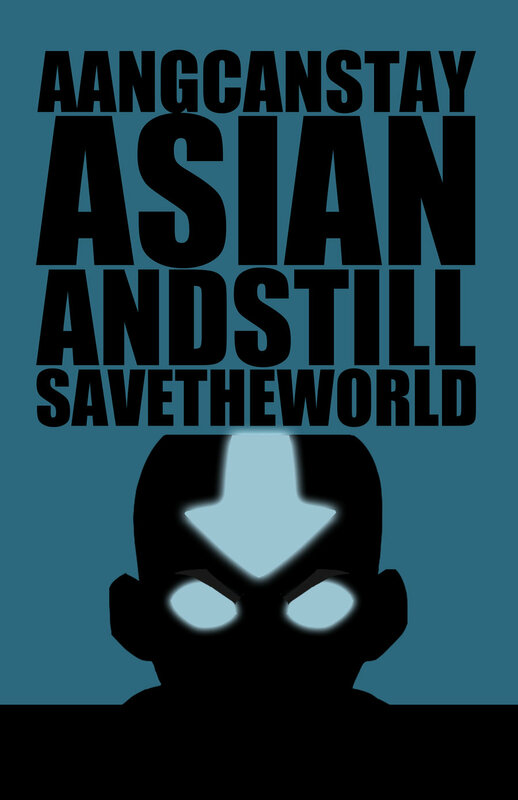 However, one Air Bender remains: a surly, sarcastic rogue named Aang, who is unaware of his evil origins. Mistika, a member of the human rebels against the despotic Benders, captures Aang, and brings him to the rebel stronghold: the rebel leader, Dordrumu, decides to use him to destroy the remaining Benders, in a quest to find the Avatar. Aang, Mistika, Dordrumu and wacky robot sidekick Kobalak must search the world before the evil Stone, Ice and Flame Benders discover them - but will Aang do the right thing, or will he join his brethren as evil overlord of the skies? I really can't make it any clearer. M. Knight Shyamalan's heinous "adaptation" of one of the most popular and well-received animations of the last ten years is still closer to the source material than "Conan" is. And it has - of this writing - a miserable 8% on Rotten Tomatoes. Now, I'm sure someone will point out "but Al, maybe Hood and Lobel have changed the script into something that IS closer to the Howard stories, and while we won't get one that's close in letter, maybe we'll get one closer in spirit." It cannot be remotely faithful to Robert E. Howard's Conan. It's as simple as that. There is no way one can reconcile the idea of Conan wandering the world in a quest for vengeance without completely ignoring the stories and Howard's notes in letters. No amount of rewriting will change this. There's no way of supporting Conan going to Khor Khala (wherever the hell it is, it's clearly in a desert, meaning Conan must go south, not north) instead of going to Asgard - Hyperborea - Zamora, and say that it's "faithful to Howard." That's like saying the Fellowship getting to Mordor by going west to the Grey Havens, taking a boat down the coast, docking at Balfalas, going overland through Harondor, and traversing Nurn is "faithful to Tolkien." Completely contradicting what Howard said does not equate to fidelity, in my mind. The only way a story about Conan seeking revenge for the murder of his parents and slaughter of his village (which is still stupid) is if this takes place much later in his career - thus negating the point of an origin story - or if one goes through "The Tower of the Elephant," "The God in the Bowl," "Rogues in the House" et al with the belief that Conan is on his quest for vengeance. Which is simply impossible, of course: none of those stories could possibly accommodate such a motive and drive, as Conan does things which would actively hinder and lengthen this quest for vengeance for no particular reason. In addition, Conan is young when Zym comes to his village, meaning that his quest for vengeance takes years - perhaps even a decade. Did young Conan go north with the Aesir, fight Hyperboreans, get captured, and go south to Zamora as part of his "quest for vengeance?" If so, that's a lot of adventure Doppenheimer left out, and Conan went on a hell of a wild goose chase: if not, how can anyone possibly claim it's "faithful"? But hey, let's entertain this silly idea. Let's see how we can incorporate this stupid story into Conan's life as Hoard wrote it. Remember my idea for an origin story? Let's try that out, with some elements from the Dark Storm Chronology, and Doppenheimerize it: Doppenheimer's additions in red, elements Doppenheimer use from the original Howard in blue, just so we see how much is ignored or contradicted. For the purposes of the experiment, I'm assuming that Khor Khala is on the Vilayet, somewhere just north of Turan, as it's the closest it could possibly be to Cimmeria. Conan is born on a battlefield, during a skirmish between his clan and a band of raiding Vanir warriors. His mother dies on the battlefield. His clan is situated in Northwest Cimmeria. Cimmerians are a harsh and dark race, who inhabit a dark land. He grows up hunting mountain-beasts, felling hawks with stones, and participating in wars among other Cimmerian tribes, as well as along the Nordheim border, and fighting Picts. He grows up to become a black-haired, blue-eyed young man. His father is a blacksmith. His family teaches him of Crom and his dark race and Cimmerian theology, as well as some stuff about steel. His grandfather is a warrior from a southern tribe who was chased out during a bloodfeud, and after long wanderings--perhaps among the Hyborian kingdoms--settled among the northwesterners. Grandfather inspires young Conan with stories of the Hyborian kingdoms far to the south, which he raided frequently when he was still among the southern Cimmerians, possibly instilling in the boy a desire to see those wonders. At the same time, the mythology of the Cimmerians gives him a healthy fear of the supernatural: ghouls, goblins, necromancers, night fiends, ghosts, hobgoblins, dwarfs, wizards and sorcerers. Khalar Zym comes to Cimmeria, and slaughters Conan's home village, including his father. (Quite how Khalar got there from Khor Khala, considering the several sovereign nations in the way, as well as what happened to Venarium, is unclear) Conan flees, but vows revenge on Zym and his generals. Conan's first journey outside of his homeland is northward, where he fights alongside a group of Aesir for some time, raiding and battling Vanir and Hyperboreans. (Why was he hanging out with the Aesir when he's supposed to be on a quest for vengeance? Did he think Khalar went north or something?) On one ill-fated raid, he is captured by Hyperboreans (maybe he thought Khalar went to Hyperborea? ), and his incarceration instills a lifelong hatred for them in the young warrior which affects his policies as king of Aquilonia. He escapes, and flees southwards into the Hyborian Kingdom of Brythunia, eventually heading for Nemedia (before the events of "The Tower of the Elephant," Conan is known to have experienced the civilized glories of Brythunia, Aquilonia, Nemedia and Koth: presumably this is during his "quest" to find Khalar). It is presumably this rough time that the events of "The God in the Bowl" take place, where Conan, now a penniless thief, is after a diamond goblet. The logical way for Conan to get from Nemedia to Zamora while including Koth and Aquilonia would be Conan fleeing into Aquilonia post-"The God in the Bowl," then going south to Koth, before finally arriving in Zamora. His time in Aquilonia is presumably where he finds Lucius, unless he somehow misses him, and has to return to Aquilonia later. A year after Venarium, he finds himself at the Thief-City of Zamora. In "The Tower of the Elephant," Conan searches for a way into the titular tower to gain the Heart of the Elephant. (How does this link into his quest?) Conan soon drifts westward (why would he go west, away from Khor Khala?) to the events of the Nestor Fragment and "Rogues in the House." Eventually Conan and Murillo quit the city. The events of the Yaralet fragment may follow this, where Conan joins up with the Corinthian mercenaries before the disastrous battle. This is possibly the earliest point that Conan could travel east to Khor Khala, after months if not years of getting side-tracked. After defeating Khalar Zym, the rest of Conan's life is ahead of him. At some points in his career, Conan returns to Cimmeria - though with his village destroyed and his family dead, it's hard to think what could possibly be there for him to return to. So, the only way for this whole "quest to avenge the murder of his father and the slaughter of his village" is to assume that Conan's drive is not really that strong, allowing him to make several detours in the form of Howard stories, relegating those tales to "side-quests." Assuming Conan is 18 at the time the film takes place (and that's seriously stretching things, since I get the distinct impression he's supposed to be in his twenties and possibly even early thirties) his quest for revenge will have taken three years. This utterly ruins the sense of urgency in the quest, and makes a mockery of the Howard stories. The only way this could even start to be faithful to Robert E. Howard is if that sentence currently serving as "plot synopsis" at the IMDB is changed. Sad to say, I don't see that as a possibility. I've never seen the show all the way through.. If there is one thing I like less than Anime it would probably be fake anime..
but this live action one turned me off as soon as I realized M Night Shamalamadingdong was directing it..
Ah, yes, Avatar: The Last Airbender is part of that unsettling new breed of western animation aping eastern. Totally Spies, W.I.T.C.H., Transformers Animated... It's a bizarre state of affairs. The only anime I really like is that by Miyazaki, and one or two others like Metropolis and Grave of the Fireflies. I never got round to watching Transformers: Victory, but if it's anything like Robots in Disguise I'm a bit leery. Avatar actually has a good storyline though. From what I know, it does indeed have a good storyline. well.. I actually enjoyed Robots In Disguise but then I mostly liked it because it was a return to something resembling transformers as I knew them rather than the Beast Wars stuff..
You aren't missing anything by not watching the three Japanese Transformer shows.. Headmaster's is just an extension of the US season 3, Masterforce is Mighty Morphin Power 'formers.. and Victory is alright so long as you look at it for what it really is.. the first of the Brave programs.. It's really just a sequel to Masterforce and continues the trend of shifting it from being an ensemble cast to being "everyone else is comedy relief except for the main guy" that the Japanese were big on at the time.. Should you decide to watch the recent release of them that the UK got.. do not under any circumstances watch the Dub Tracks.. they were done in Malaysia on a shoestring budget in the early 90's and they are wretched. The only "Anime" that I really like are the localized ones from the 80's.. I have no problem with Voltron or Robotech.. but I didn't particularly like Go-lion or Macross..
Transformers Animated is an odd thing.. since it was actually done by a French company who also did the recent Teen Titans show.. where it's a child oriented version of Bruce Timm's DC designs for Batman the Animated Series. It made up for its poor choice of art style with really good writing. And having Weird Al Yankovic as Wreck Gar was rather inspired.. since it was his song they played in the 86 movie during the Junkion bits.. I think the current trend of making thing's more " Anime-y" is just that people have misunderstood the concept behind Anime.. It's just a style like Disney has a style and bruce timm had a style and ralph bakshi had a style... it just showing that western companies don't get the products they sell.. they are hoping that simply by looking like anime they will sell like anime.. they miss the point that the reason anime sells.. in my experience.. is because its not western. Thundercats is more Anime than Transformers Animed.. Thundercats was animated in Japan, but then so were all of the best episodes of GIJOE or Transformers.. when they animated them in Korea they tended to be crap. TFA seemed to use a lot of anime stylistic elements not so much in the designs, but in the animation: the backgrounds during transformation (though I recall "Centurions" did that too), sweat beads, the distinctive anime facial expressions for joy, horror and confusion. Like Avatar, come to think of it. That said, the stories in the eps I saw were good: I just couldn't stand the aesthetic. It just wasn't for me. Understandable.. But Yeah it's really a hybrid offspring of Bruce Timm's style with some Anime tropes thrown on top to try and trick kiddies into watching it. Robots In Diguise however was more or less always intended to be a comedy, and came across as such.. I especially liked Skybyte.. the Haiku writing land shark... But then as I said I have a really soft spot for that for a number of reasons.. I spoke via live chats to several of the voice actors.. and it was just on TV at a rough time in my life. So I won't defend it as high art.. but it certainly wasn't any worse than the original cartoon.. Which I know your opinion on that.. but over here the Cartoon was more than likely "The" media one got for the show.. I didn't even find out about the comic until I was 10. I think my antipathy for RiD is more based on anti-nostalgia (does that exist?) where as a child, I was bothered by the alterations: Megatron not a gun, Ops not a plain COE truck, and especially Grimlock not being a dinosaur. Still, it did have its highlights, like Skybyte. well for those we can blame the toy company, as the characters only received those names as that was the first onslaught of the great (TM) and (R) re-acquisition. RID isn't even remotely connected to the original show.. or Comic.. though the Japanese have tried to recant a bit on that now..